Cape Cod is "Coyote country"
Kathy Blackwell, and her friend Tim came quickly to Blake’s rescue. 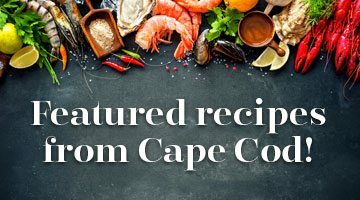 The longtime Cape residents brought wooden spoons, pots and pans; they yelled, and banged on the pots and pans until the animals ran off. Throughout, Blake remained frozen by the door. Her rescuers, after successfully scaring off the unwelcome guests, had a good-natured laugh at her expense. Prior to that night, Blake had never seen—or heard—a coyote. “I was standing pretty close to the door, and they just thought it was so funny,” Blake says, “and here I am having this traumatic experience.” Moments later, the trio noticed that Blackwell’s cat, Cubby, was perched on the roof of Blake’s cottage—likely the reason for the coyotes’ visit. For the remainder of her stay, Blake never saw the coyotes again, but she heard them frequently and stayed inside on those nights. Blake’s story may sound familiar to Cape Cape residents and visitors alike. Eastern coyotes (Canis latrans) have been living on the Cape since at least 1985, but in recent years the animals seem to be flourishing and have been spotted all over the peninsula. In this article, local wildlife experts share some of their research on the Cape’s top predator, discuss personal experiences, and offer suggestions for residents—especially pet owners—on cohabitating with coyotes. The article also examines the coyote’s family structure and prey, and researchers speculate on how the coyote arrived here in the first place.